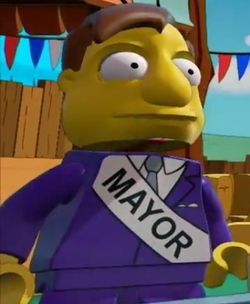 Mayor Quimby is a character from The Simpsons who appears in LEGO Dimensions. Quimby is the mayor of Springfield. This page was last edited on 12 January 2016, at 23:26.